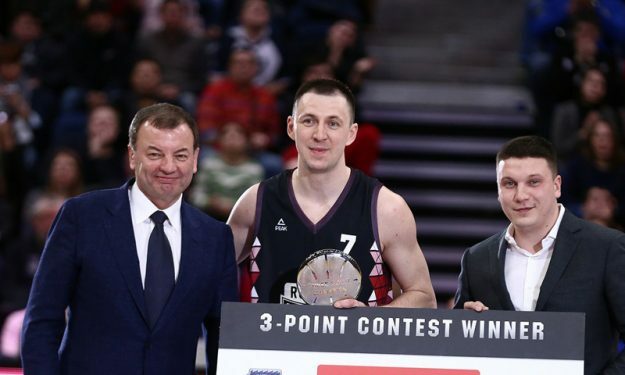 Vitaly Fridzon took home the 3-point contest award at the VTB All-Star game. The VTB League All-Star weekend is underway, with the 3-point contest turning heads once again. Lokomotiv’s Vitaly Fridzon was this year’s big winner, after outscoring Dorell Wright in the mini-contest. In the meantime, Khimki’s Viacheslav Zaitcev flew high and won the dunk contest final vs. Kendrick Perry.